The professionals at Florence Cement take particular pride in their environmental accomplishments that include building one of the state’s first recycled concrete paving projects. They were also the first in applying a concrete overlay method of construction. These innovative techniques have complimented their business relationships with state, local, and county engineers and developers, proving they have the knowledge and workforce to meet tough challenges. Always very involved in the industry, Florence Cement is a proud member of the Michigan Infrastructure & Transportation Association (MITA), the Michigan Concrete Association and Michigan Construction. Florence Company, Inc. is very proactive in providing its employees with state-of-the-art technology, equipment, and continued education to keep pace with industry changes and maintain a leadership role in the marketplace. Of course, the company is always looking for new employees who have the same values and work ethics that have made the company strong for a half century. 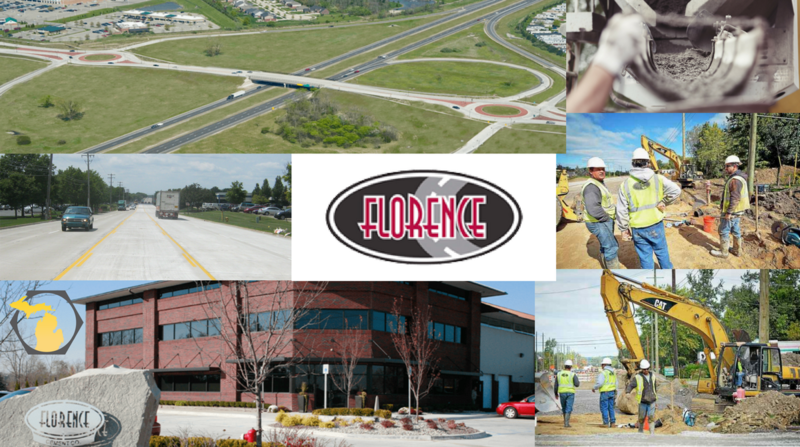 If you are interested in working for a company that strives for greatness, apply to Florence Cement today!